The Scrappin' Mama Studios: I'M A GUEST DESIGNER!!!! & BLOG CANDY AGAIN! full of wonderful projects, and a place for you to "feel at home". this coming Christmas Edition is not going to be any different!! Christmas Edition 2011...A Merry, Merry Christmas!! Did you know I have extra "FREE" tutorials on every edition? Did you know we have challenges for you to participate? Did you know we are adding video tutorials starting with our next Christmas Edition 2011? 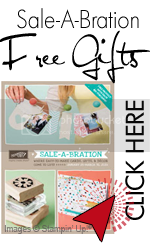 Did you know that among those challenge participants there is a raffle of a GRAND PRIZE for $75.00 in Stampin' Up! supplies? I'm offering the Early Bird Price of $20.00 to those who register from today until Monday, October 10th. The Christmas Edtion starts on October 17th and will run for a whole month...four weeks of tutorials, videos, extra tutorials, and challenges! To register using Pay-Pal, please visit INKSPIRATIONS 4U! Guess what? I am a guest designer for her and better yet, she is giving me 2 free passes to give away to you! All you have to do is sign up for email blog updates and leave a comment with your email address! Then I will make the draw via random.org on October 14th. 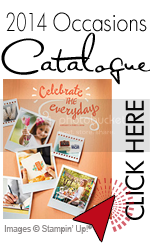 While you are here take a moment to sign up for my virtual online club -- The Frugal Scrapbooker--you won't be disappointed!!! Congratulations! You deserve it - your work is phenomenal!! Congratulations on being a guest designer. I have followed your blog for a while and enjoy your style. Also, thank you for the chance to win a free pass! Thanks for the chance at a pass. Hi - I have been a subscriber for sometime now - thanks for a chance to win - it would be really fun to have a subscription. Congratulations, Teresa! I would love to win a free pass! I already signed up for email updates.